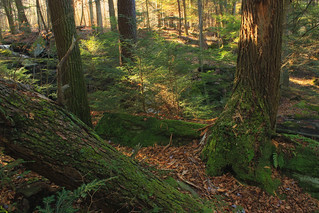 Hemlocks along the West Branch Ketchum Run, Loyalsock State Forest, Sullivan County, near the Fern Rock Nature Trail. The trail ends at the stream; a bushwhack north along the stream leads to the Loyalsock Trail. Along the way are numerous cascades, waterfalls, and slides. 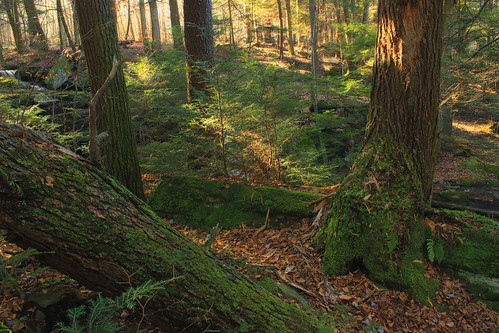 Bordering the stream are dense stands of hemlocks and northern hardwoods.